With these great horse stickers your child will no longer want to get off his bike. The set consists of 60 horses in size 2.5 cm x 2 cm and 117 points with a diameter of 0.7 cm. You will receive 3 arches with 20 horses each and 39 points. The color of each sheet is customizable. Please select up to 3 colors from the color chart added to the image gallery and specify them when ordering with the corresponding colour numbers. In order to make it easy to assemble the sticker, a detailed, illustrated assembly manual is included in the scope of delivery. 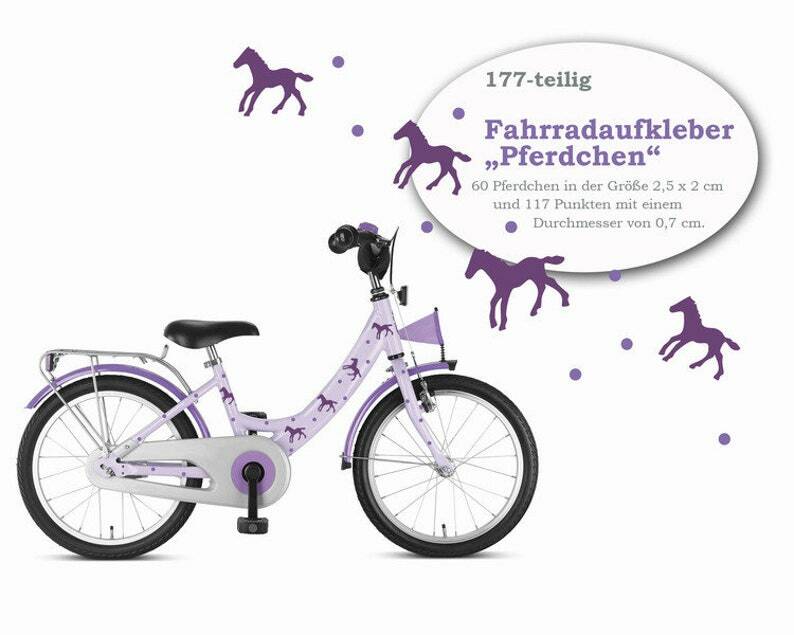 The offered Fahrradtattoos are made of special, matt-glossy branded vinyl foil.